Who’s the Mayor of your Church? Be Known for Something : Discover Your Church Communication Thread / Communication Strategy / Who’s the Mayor of your Church? Social media is everywhere. People love the interaction and the “rewards”. 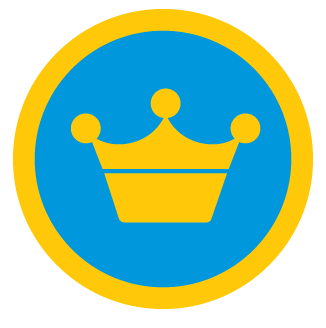 Lately, I’ve been playing with FourSquare. It’s a free service that allows you to “check in” to places you go to. Your friends can see where you’ve been (or are). You can see what your friends are doing. You get “rewarded” by points/awards as you unlock areas, return to areas, etc. Recently, I checked in (via mobile app) at a busy airport. It told me that 87 other people had checked in too. I started thinking, wouldn’t it be fun to add this “fun” to your church! In fact, you may be surprised that people are already “checking in” to your campus. Wanna check? Load the app, register, open the app to check in and it’ll suggest places around you (thanks to GPS). Chances are your church is already listed. It’ll tell you how many have checked in in the past (or currently). You can browse this list and “follow” any of them you want. If your location is not listed, you can add the church quite easily. Another cool thing: FourSquare knows who has checked in the most times; and grants that person the title of “mayor”. Starbucks oftentimes will grant a discount for anyone showing that they are “mayor” of their local establishment. I’m sure you’re thinking about someway to “benefit” them. What about a personal letter from the Pastor thanking them for being the mayor (and maybe a gift card to local restaurant?). Ah, ideas keep churning in my mind….